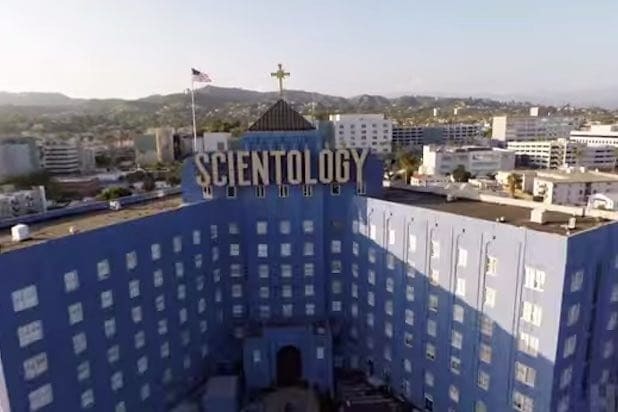 The Church of Scientology has fired back at “Going Clear: Scientology and The Prison of Belief,” Alex Gibney’s explosive documentary which takes an inside look at the religion and its deep ties to Hollywood. The film which debuted at the Sundance Film Festival in January, premiered Sunday night on HBO. TheWrap published an interview with Gibney about the film, wherein he said that former Scientologists and subjects of the documentary have been threatened with physical harm and financial ruin since the film started making the rounds. First, there has not been one physical or financial threat of harm from the Church to anyone. These are more lies from the same admitted liars who Gibney glorifies in his film. Second, I have in my hands court records where Monique Rathbun stated under oath that she has no idea who sent those items to her at her office. She also conceded she had no evidence and had made the allegations against the Church without specific or direct evidence. In other words, court records contradict the accusation Alex Gibney made, which is exactly what he did during the entire making of this film – ignore facts and court records. There are countless more examples if you are interested. Finally, as for Spanky Taylor the Church has not made one threat against her. Again that is made-up garbage. Rather than print the usual “denies the allegation” you should circle back with Gibney and ask him for proof. And ask him to explain why he would make such an accusation when Monique Rathbun’s testimony contradicts it. If you ever want to know about Scientology, look at our website at www.Scientology.org. The information is right there. We are busy trying to help people. We spend every waking minute working to get people off drugs and assist them to lead healthier, happier more productive lives. “Going Clear” featured commentary from prominent former Scientologists like Marty Rathburn, Spanky Taylor, director Paul Haggis and Tom De Vocht. It also covers the involvement of two of its most visible members, the actors Tom Cruise and John Travolta. The film generated massive buzz at Sundance, resurfacing the most damaging accusations against the religion such as an alleged campaign to break up Cruise’s marriage to Nicole Kidman. Since the defection from the church in recent years by Haggis and investigative work, including the book by Lawrence Wright on which the film is based, the worst of Scientology has already gone public. Slave labor on Scientology’s Sea Org boats, members forced to “disconnect” from disobedient family members, alleged physical abuse by church leader David Miscavige, maintaining a prison camp to punish and control senior church officials — the documentary revisits all of these claims and more.